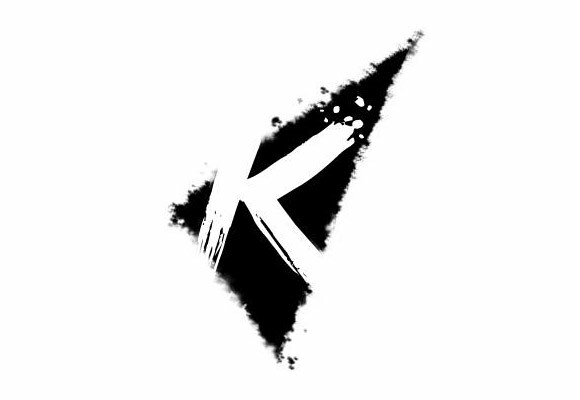 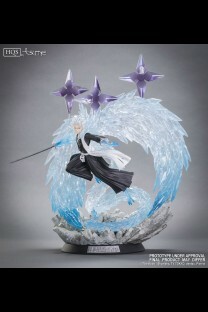 If I were to name one license that Tsume’s fans have asked over since the company’s creation, it sure may be this one. 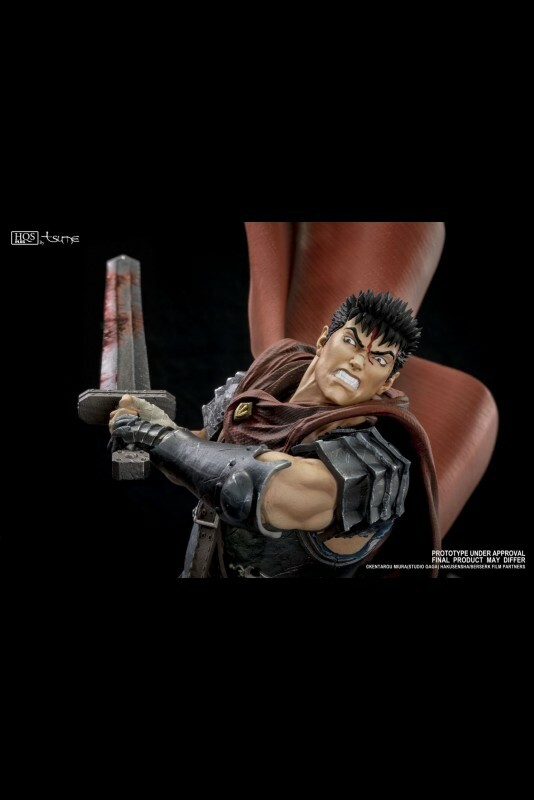 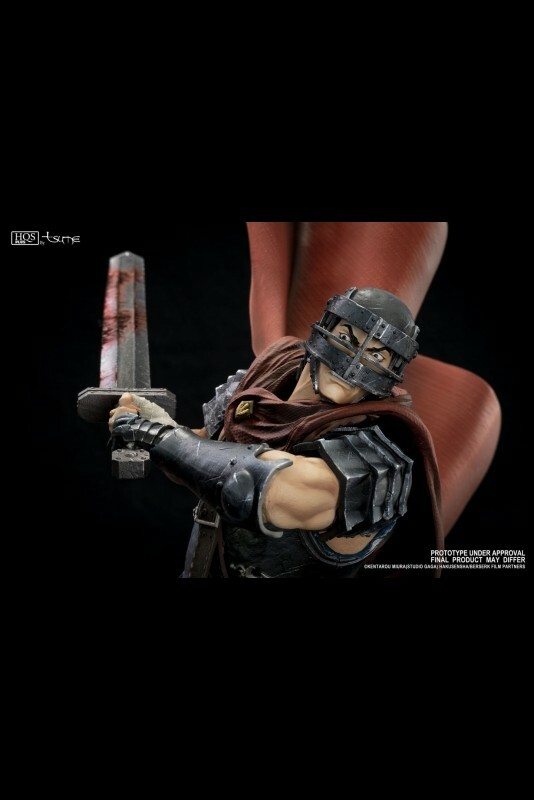 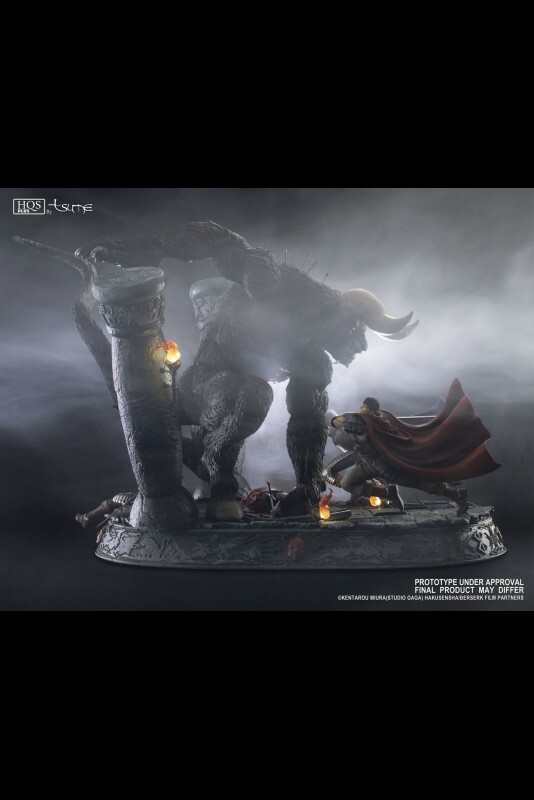 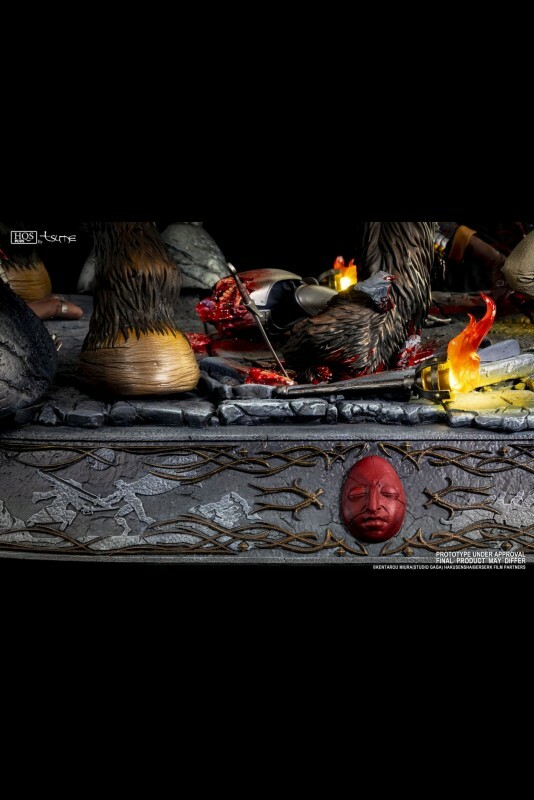 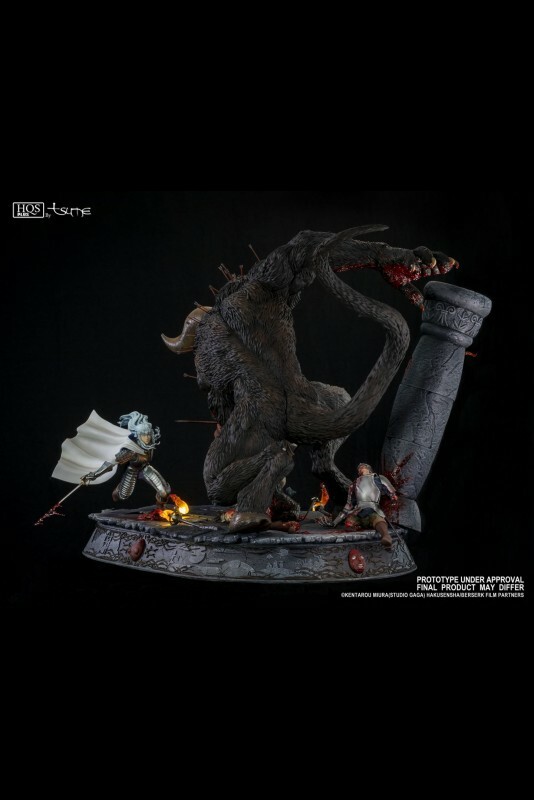 Tsume is proud to present its own interpretation of the legendary Dark Fantasy saga: Berserk, by Miura Kentaro! 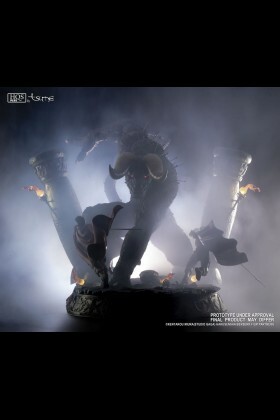 Through this gigantic 88cm-long creation, relive the most impressive scene of the Golden Age: Guts and Griffith’s battle against Immortal Zodd assuming his final form. This one-of-a-kind diorama places them back in Doldrey’s citadel’s underground… with the flaming torches hanged on the columns, the blood-tainted paving where dead bodies are discarded. In the middle of this slaughter, stands Immortal Zodd with a wry smile: massive, all horns out and teeth bared, the back covered with crossbow bolts… although he’s kneeling, he still overlooks everyone in this room! 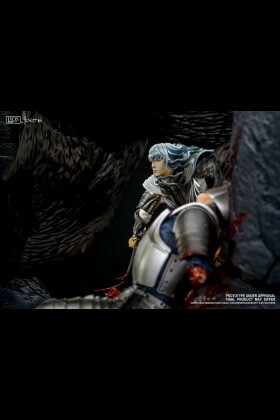 Cornered, the two mightiest warriors of the Band of the Hawk launch a counterattack and attack the apostle. Griffith has just sliced his his left arm and Guts is wielding his zweihänder to slash his right thigh. 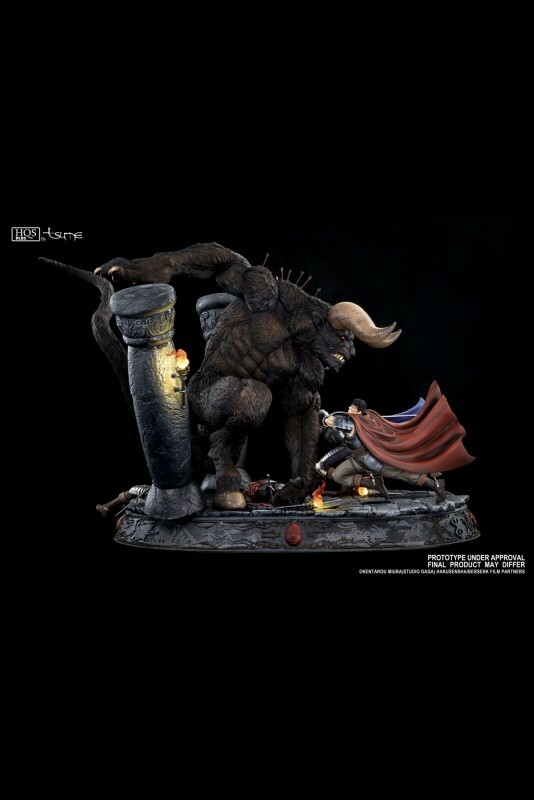 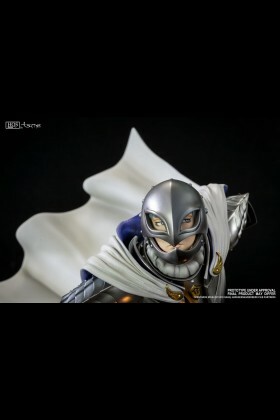 On a technical side, this statue is setting the next pinnacle of what Tsume® can do. 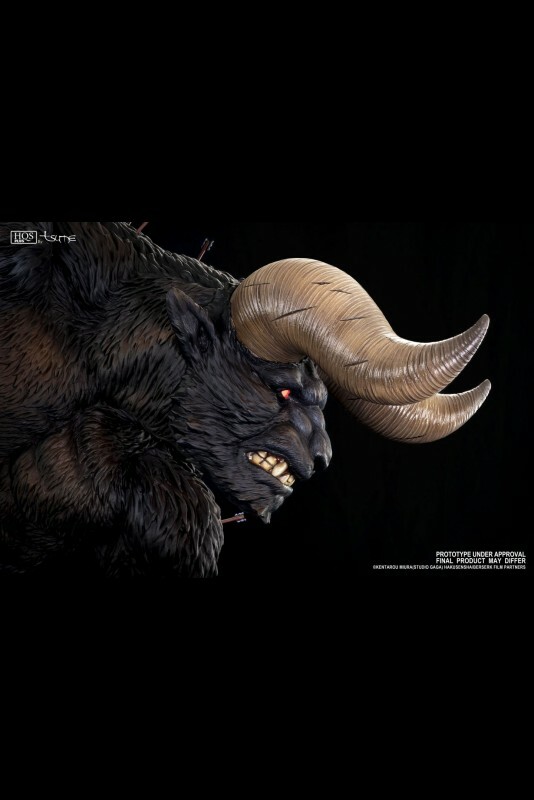 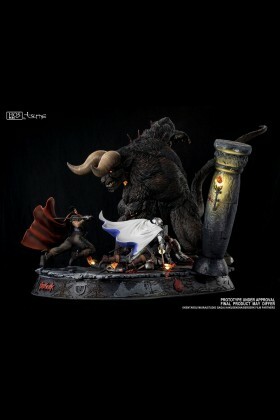 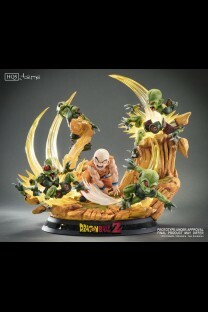 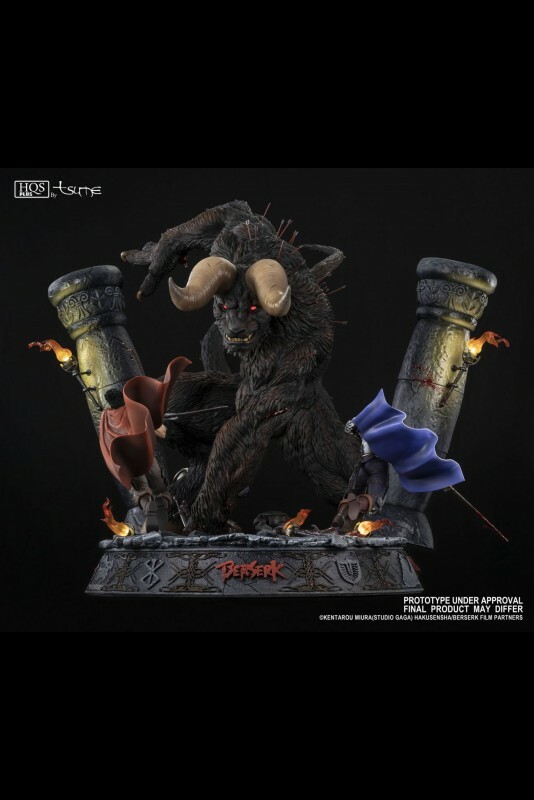 Sculpture is both very detailed and true to the anime, especially Zodd’s fur and the three characters’ expressions. 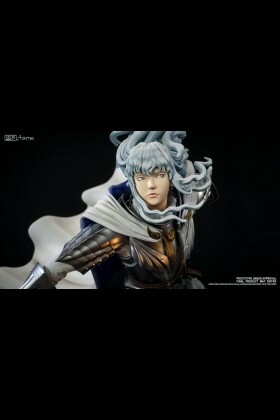 The background offers various points of interests, such as the base who mimics ancient wall sculptures and offers a unique Behelit-adorned fresco telling the story of Berserk. 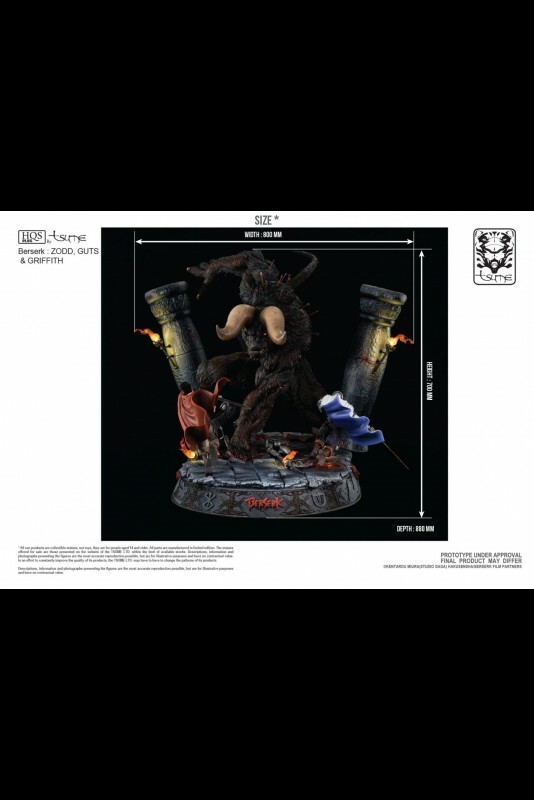 Our LED lighting system allows us to offer both warms with the flames of the torches, and life through Zodd’s blazing gaze. Of course, the colouring job is stunning and embodies perfectly the gritty and gory mood of Miura Kentaro’s masterpiece. Last but not least, both Griffith and Guts come with two heads, so you can choose how to display each of them: with or without his helmet. Summing up hundreds of hours of work, we consider this piece like the ultimate tribute to any Berserk fan.